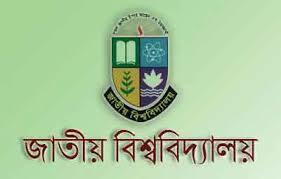 National University Honours 1st year 2014-15 session result has been published today. Irregular and improvement result of 2013-14 session was also published today. Visitwww.nu.edu.bd/results/or http://nubd.info/ to get your result. You can also get your result via SMS with Teletalk Sim. Note : Use Teletalk mobile to get your result through SMS. Stay with us for further update and feel free to let us know if you have any queries.